For years, I have been doing side projects - screenprinting, letterpress, drawing, knitting, painting - anything to keep me creative and engaged outside of my less-than-creative day job. I read articles about other creative people who do the same thing as a way to broaden their portfolios and feel fulfilled in their work. 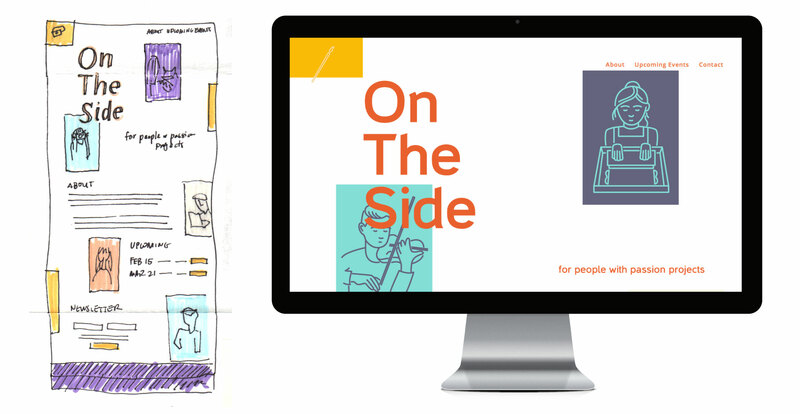 I found this idea of side projects so enthralling that in the winter of 2014, I came up with an idea to invite people together to talk about their side projects. The concept of a passion project was so widely talked about in the creative field, I figured there must be others out there like me (especially in a creative city like Minneapolis). Since March 2015, I have been hosting monthly meetings for people to gather and talk about their side projects. Knowing how easily I lose motivation or focus on my projects lead me to build these meetings as a form of accountability - but it became something bigger and more unique. It became a space to ask for help, to discuss goals, to collaborate with one another. Our participants have had vastly different projects - I've seen woodworkers and illustrators and hat makers - and that was just one meeting! Some come back month after month, while others come a few times before life kicks in and takes precedence. Either way, I just wanted to create a space where people could meet and talk openly about their work and their goals. When I first designed collateral for emails and social media (my two primary sources of reaching our audience), I had a much more muted color palette. This winter, I revisited the design and altered it to make it more cheery and bright. 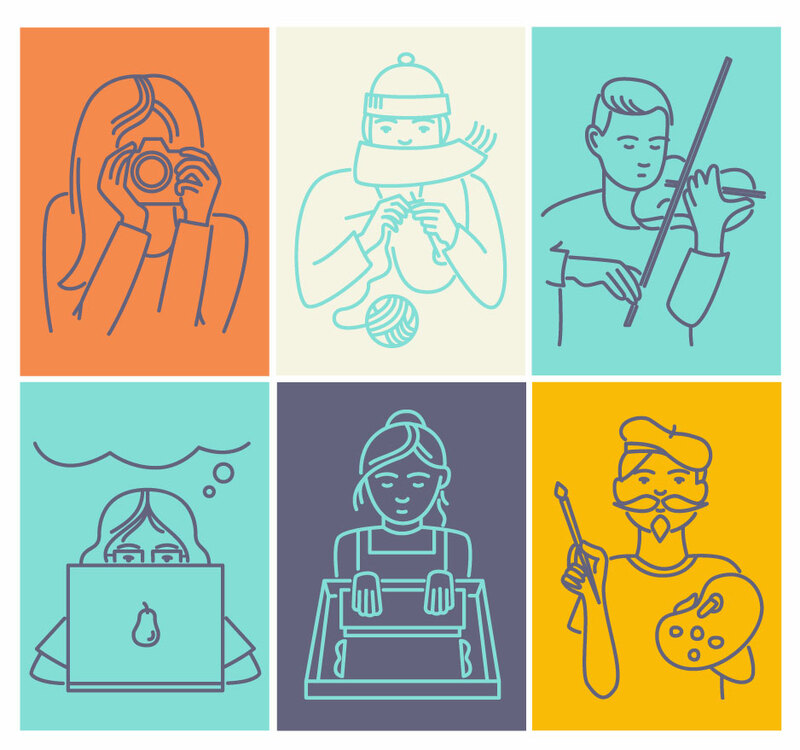 I used icons that show a variety of mediums our participants might use, as well as some fun persona-type illustrations for the website, which I also redesigned this winter. Looking forward to spring and the rest of 2016, On The Side is going to keep holding monthly meetings for people to come talk about their projects. 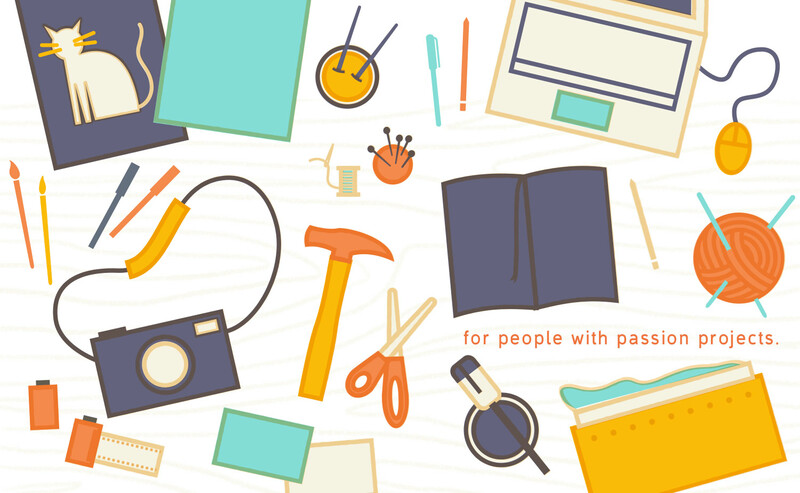 Additionally, we plan to host a few hands-on workshops for those who may want to learn something new. Above everything else, we want to create a fun and relaxing atmosphere for people who want to create new things. I aim to make that reflective not only in our design materials, but also in our message and tone. 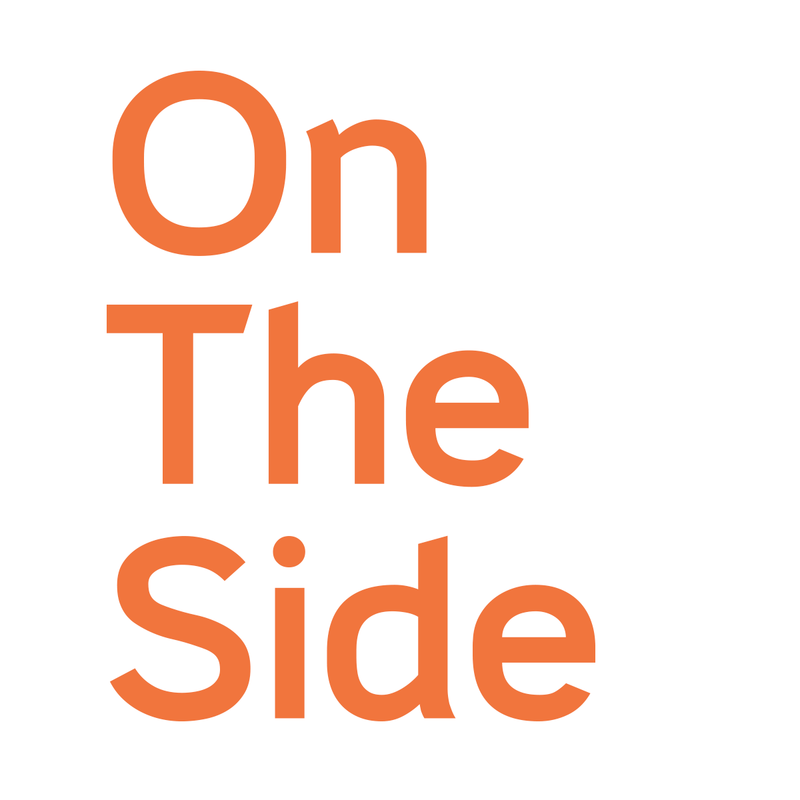 View the On The Side website here.